Caramel and nuts are a match made in foodie heaven. Pair them with fresh and fruity coconut and you’ve got a tropically themed hit on your hands. 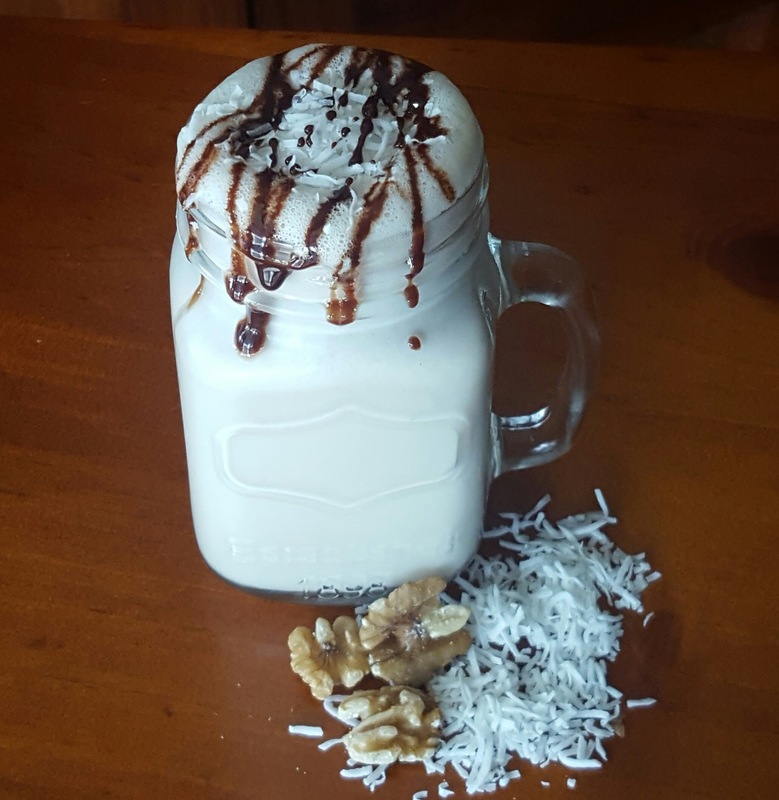 This delicious Nutty Caramel Coconut Smoothie takes full advantage of the Healthy Mummy Caramel smoothie mix which has been making waves in the Healthy Mummy community since its launch. Like all of our smoothie mixes, the caramel flavour contains no artificial ingredients and is free from gluten, dairy and fructose, with no added sugar. It’s perfect if you’re part of the 28 Day Weight Loss Challenge. If you’re a fan of nutty caramel and coconut flavours and looking for a new smoothie to try, give this one a go. We’re sure you’ll love it! Blend the first 6 ingredients together on high until well combined and frothy. Pour into your favourite glass and enjoy with a drizzle of Coco2 spread and some extra coconut. Recipe makes 1 smoothie with 264 calories per serve.